Ever wonder what The Pollitos dream about as they snuggle under their mom's two wings at night? This book tells their very exciting dream. 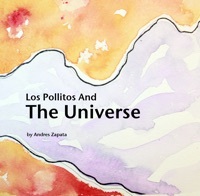 Journey the universe with Los Pollitos as they chase comets, navigate the Milky Way and more.